A great way to prepare for the Fall season! Focus on the fundamentals of lacrosse in a fast-paced training environment and game situations. 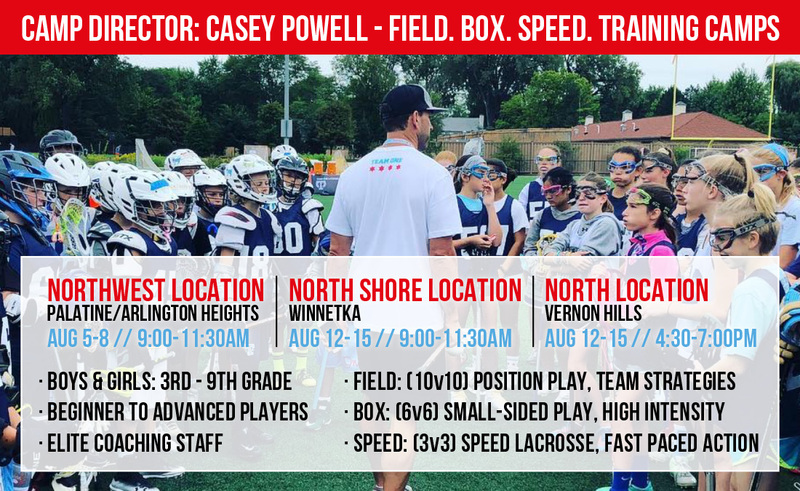 During camp, we will play Field, Box & Speed lacrosse to touch all areas of skill development. Players will be grouped by appropriate skill levels and ages. This program is recommended for Beginner to Advanced players.